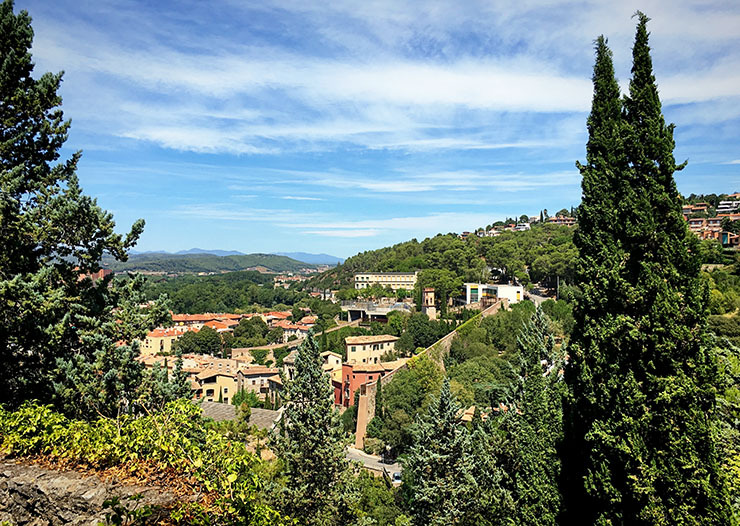 Girona is a very popular day trip from Barcelona and is just about an hour train ride to the north. 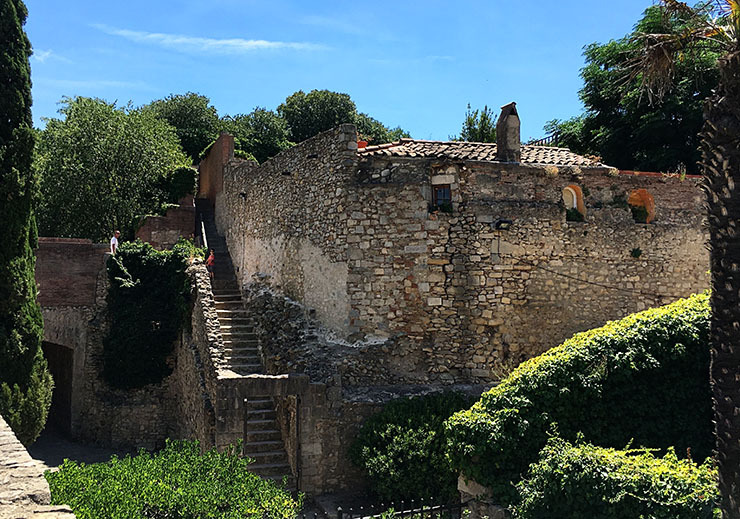 The first country house we rented was about 30 minutes from Girona so it was easy for us to go and spend the afternoon exploring this historic city that dates back to the first century, BC. 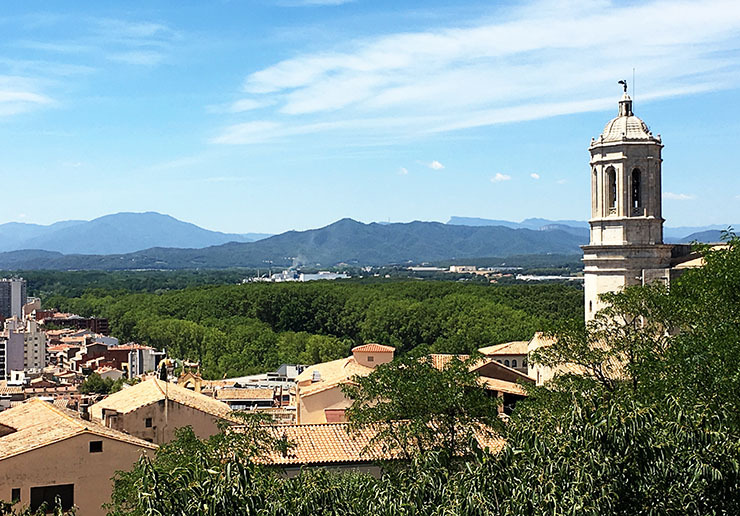 A few of the top highlights for visiting Girona is the Cathedral of Girona, the Forca Vella (old roman fortress), the Jewish Quarter and walking along the Roman walls that once protected the city. 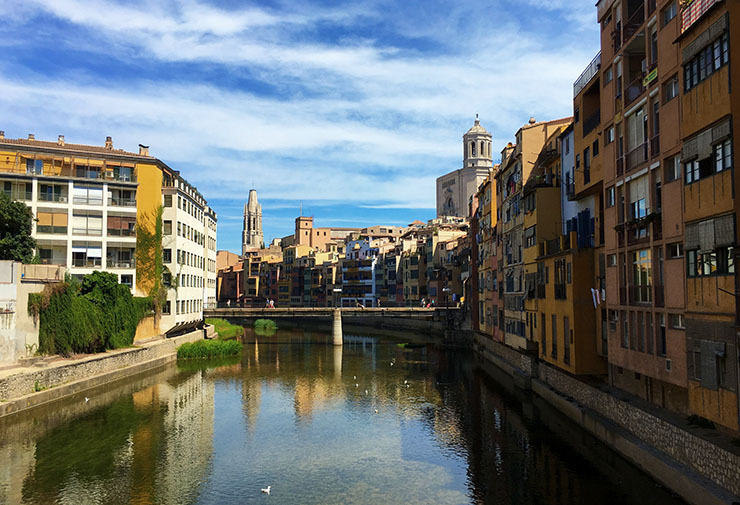 Girona is a small very small city that is easily walkable, you do not need a car. 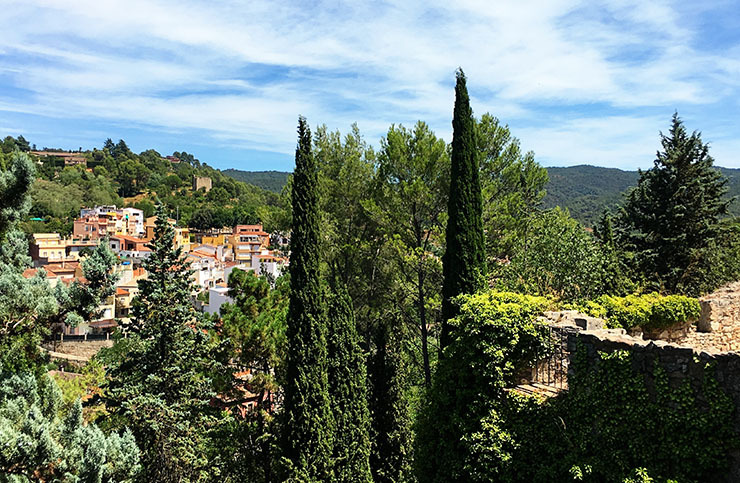 Barcelona to Girona by train takes about 45 minutes and only costs 12 Euros. However, if you do happen to have a rental car you can easily park it at the train station for the day and walk o the city center, which is what we did. 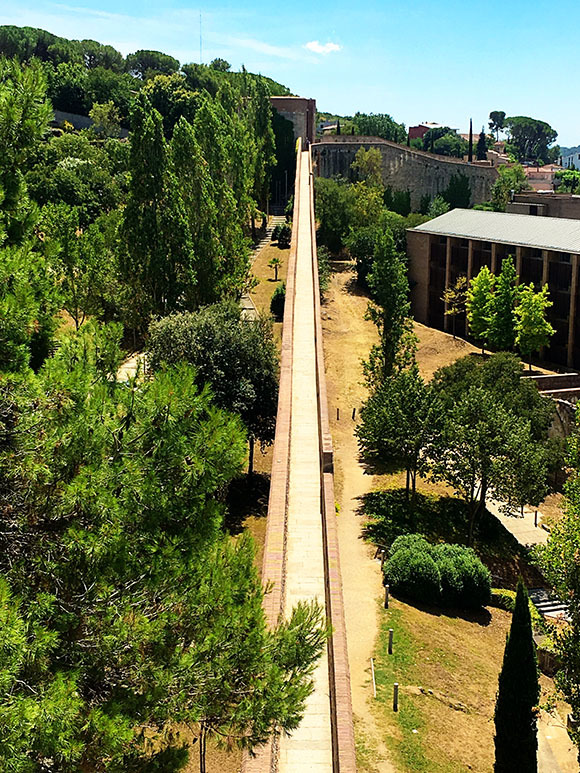 The walk from the Girona train station to the historic city center is a 10 minute walk. 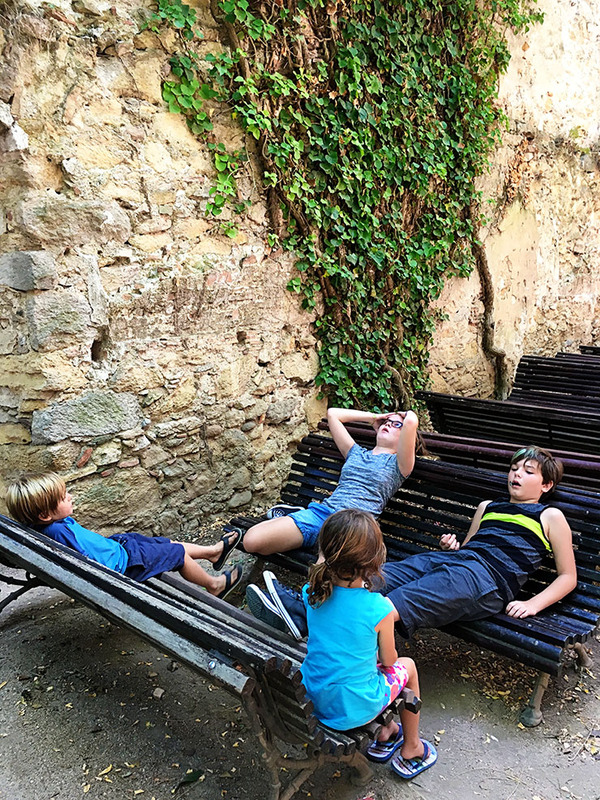 We explored the old city, the Forca Vella and walked along the Roman walls and then walked back to the train station with only a moderate level of complaining from the kids. 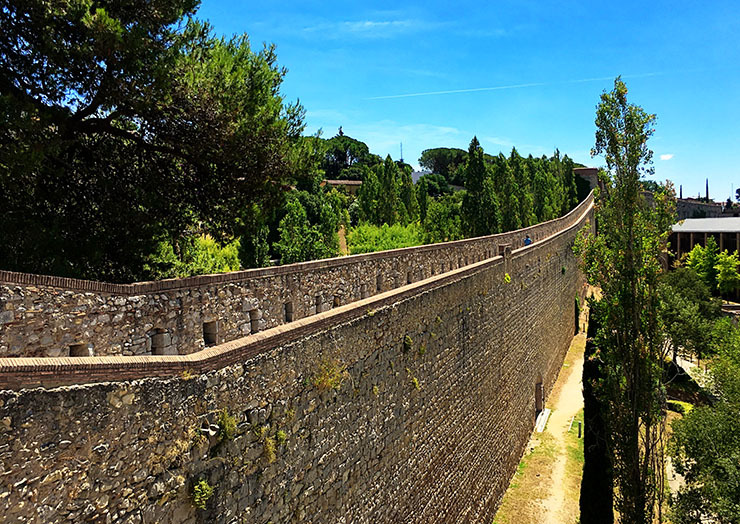 Our main goal was to see the Cathedral and walk the Roman walls, so we did not spend a lot of time investigating the restaurants, shops or the Jewish Quarter. 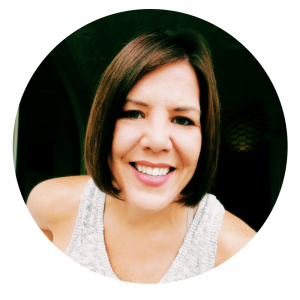 I hope to go back another time without the kids so I can take my time stopping in some of the shops and exploring the Jewish Quarter a bit more. When walking to the city center from the train station you will follow signs and eventually come to Rambla Llibert which is a pedestrian only street with shops and restaurants. 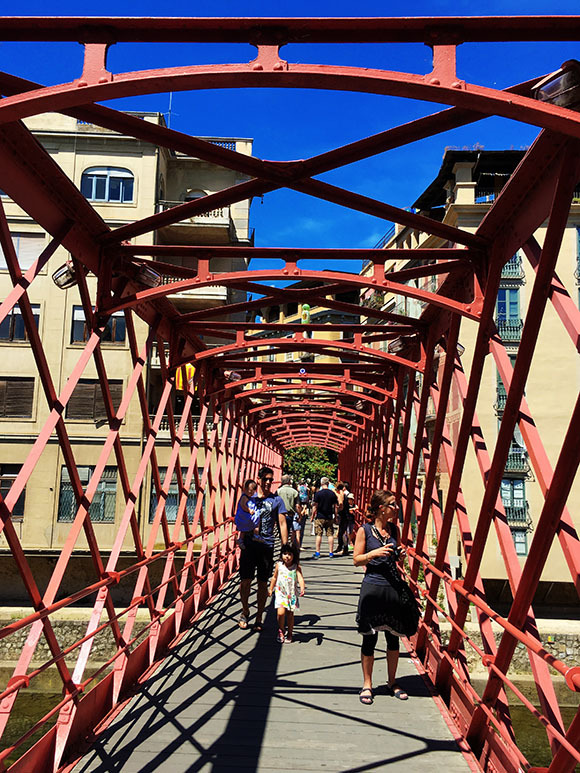 This runs parallel to the Onyar river and there are a few bridges, one of those bridges is the famous red bridge in Girona named Eiffel Bridge. It was built by Gustave Eiffel in 1877 before the construction of the Eiffel Tower in Paris. 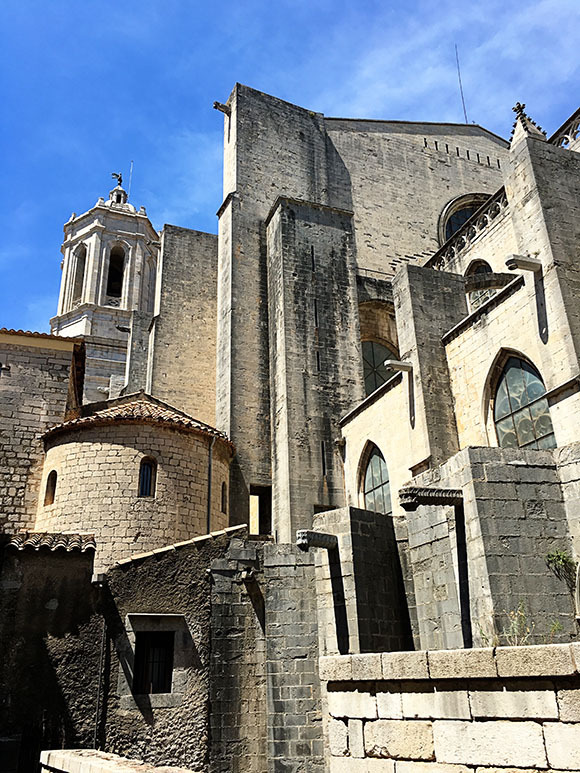 The Cathedral in Girona is officially named The Cathedral of Saint Mary of Girona, but to keep things simple everyone just says The Cathedral de Girona. It is not hard to find once in the city center, and there are signs to point you in the right direction. We simply found our way to the side of the Cathedral and then followed a large staircase and pack of people around to the front. 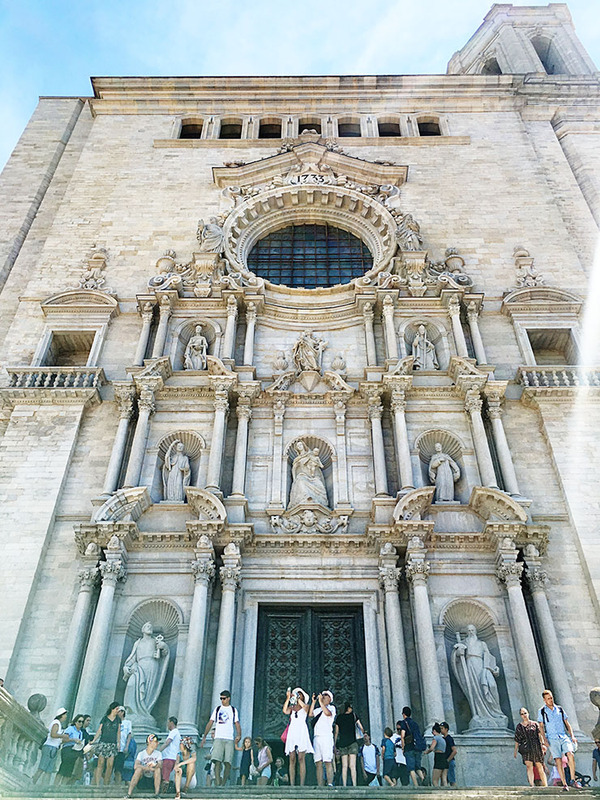 Fun Fact: The Cathedral of Girona was the location for a major scene in Game of Thrones, which was incentive enough to get my husband excited to see a Cathedral. 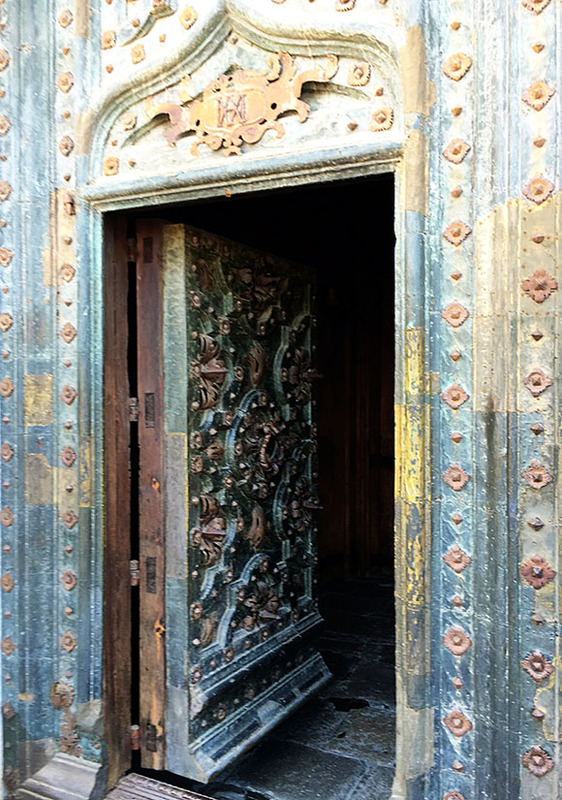 I’m always been most impressed with the doors on cathedrals. From the Cathedral we just kept wandering around and found ourselves among the Roman walls just naturally and when we saw a staircase we took it up. 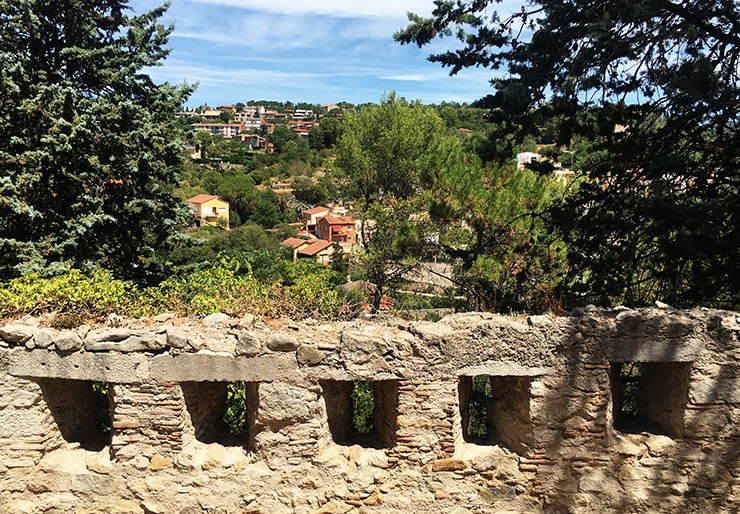 As we navigated our way along the walls, and climbed more stairs, we started to see some pretty incredible views of the valley. We just kept along the path and continued exploring until we reached a beautiful courtyard, where we did a little resting in the shade. Across the courtyard there was a large bell tower to climb that gave more stunning views and an impressive vantage point of just how far the Roman walls went! As you can see, we made the kids do a lot of walking that day, but they survived. (It really wasn’t that bad, my kids like just like to be dramatic). 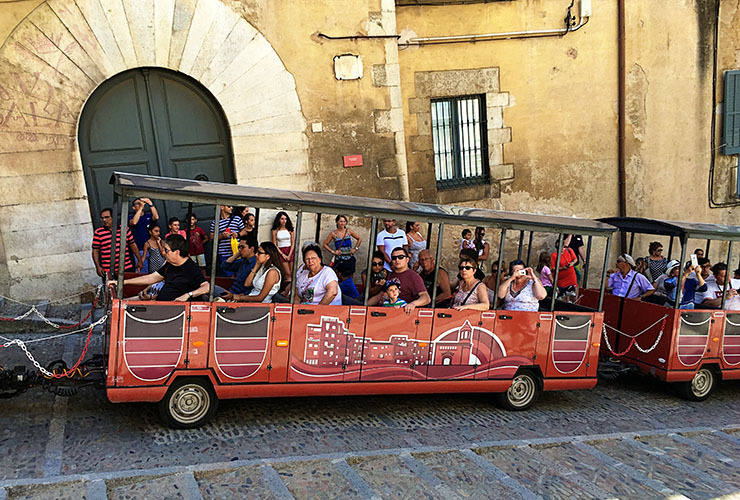 There is a small trolley that you can ride around to see the city, so if you are with anyone that has any health conditions or are traveling with have very small children, and hey – there’s no shame in hoping on just for fun! 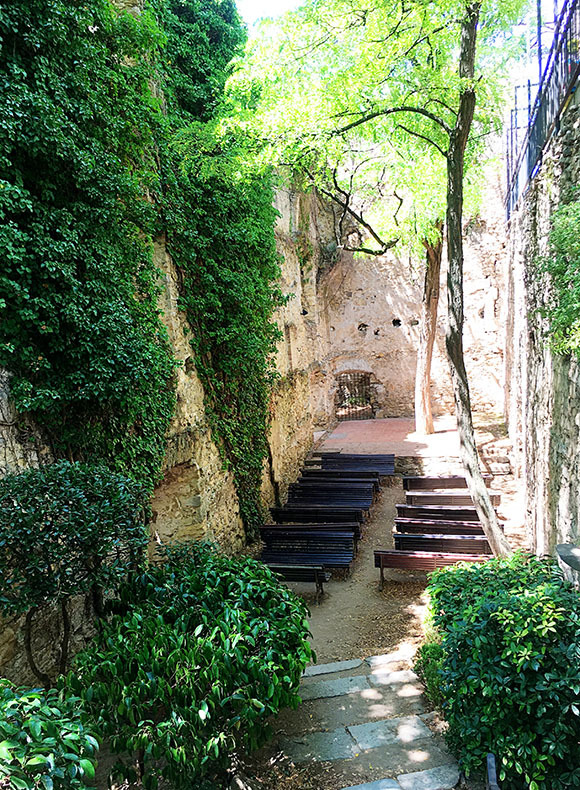 If you are in Barcelona and looking to get outside the city to see a bit more of Catalunya I would highly recommend this day trip. You can easily take the train up int he morning and spend a day wandering the old city, have lunch, enjoy some gelato and be back in Barcelona for a late Spanish dinner! 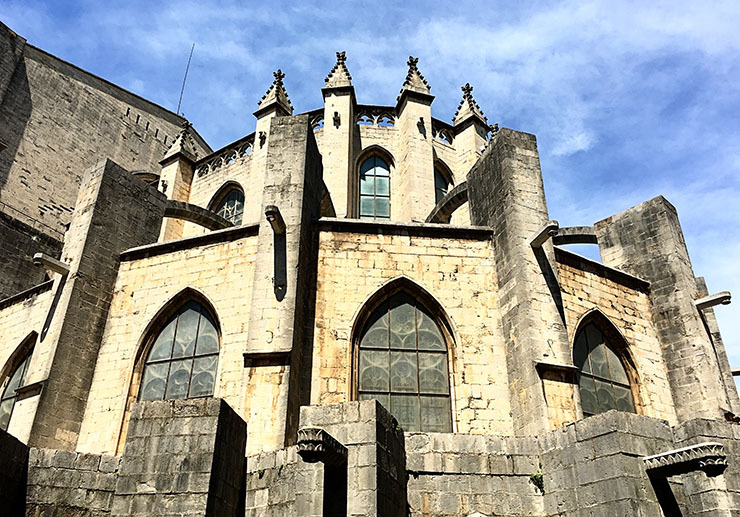 The city of Girona website has a lot of great information about the history of Girona and other interesting things to do and see when you visit, be sure to check it out before you go.